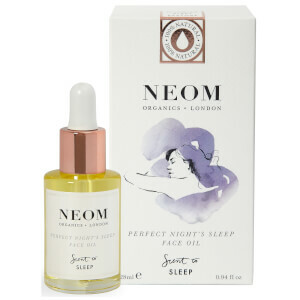 Unwind with the Neom 'Daily De-Stress Bath & Shower Oil' in 'Real Luxury™', a sumptuous bathing oil enriched with safflower oil to bust stress and leave skin silky soft. Powerfully nourishing, the calming formula combines twenty four of the purest essential oils, including lavender, jasmine and Brazilian rosewood to de-stress the mind and body. Simply add to your bath and experience its soothing, therapeutic aroma. Your mind will feel de-stressed and your skin nourished and moisturised. - K.N. Carthamus Tinctorius (Safflower) Seed Oil, Parfum*, Limonene, Linalool, Tocopherol (Vitamin E), Helianthus Annuus (Sunflower) Seed Oil, Citronellol, Geraniol, Eugenol, Farnesol, Citral, Coumarin, Benzyl Benzoate. *Made with 100% natural essential oils including lavender, jasmine and Brazilian rosewood. Made with 70% certified organic ingredients. As the aroma fills the room and you begin to take deep breaths, the essential oils will absorb into your skin.